Zika virus has exploded onto the collective consciousness lately, due to media stories about birth defects in Brazil being possibly linked to Zika virus. Believing the the following when it comes to travel health is a BAD idea. I sigh…of course it is not your job to know – that is why lots of travellers seek professional advice. Getting a tropical disease is like winning a bad lottery that you did not sign up for – and it mostly affects the unprepared. Get the right advice, Get the right shots – especially if you are pregnant and travelling. It is worth it… but now back to Zika; here is what we know at the moment. Current evidence suggests more than a million persons have been infected by Zika virus in Brazil. Over 4,000 babies have been born with a tragic birth defect called microcephaly where their brain does not grow properly. This seems to be linked to Zika infection in early pregnancy. This is a profound and untreatable condition, that will cause problems for the family for decades. Aedes aegypti biting a human arm. Zika virus is like Dengue virus – transmitted by mosquitoes and leads to similar symptoms: mostly mild fever and rash. Other symptoms include muscle pain, joint pain, headache, pain behind the eyes and conjunctivitis. 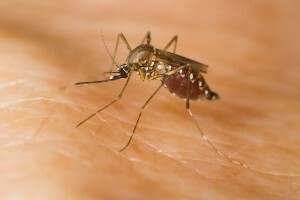 Symptoms typically develop between 2 and 7 days after the mosquito bite and usually lasts only a few days. Zika is usually less severe than Dengue. In fact, in areas where both circulate – it can be hard to tell them apart without very specialised tests. Most persons ( about 80%) who catch Zika don’t even get sick. There is no vaccine, and no specific treatment, and if you are male or female and not pregnant Zika might be a bit of a story to tell but not a big deal in the scheme of things. Everyone needs to use mosquito repellent when they travel .. everywhere tropical- even in Brisbane we have Ross River fever and Barmah Forest disease. However…Pregnant women must stay away from areas with Zika infection, especially in early pregnancy. 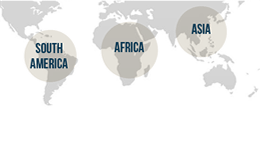 Women of childbearing age must use effective contraception while in these areas. Friends or family who have returned from south america and are well will not pose a risk to persons who may get pregnant later. SICK friends or family who have been to South America need to see a doctor and sleep under mosquito nets to avoid infecting our mosquitoes here. The virus was first identified in Uganda in 1947. Few human cases were reported until 2007, when a Zika outbreak occurred in Yap, Micronesia. Zika is like a smouldering fire – sometimes a spark is thrown and it starts a fire, sometimes a very big fire. Infectious diseases do this. This link contains links to everything you want to know about Zika but were afraid to ask. I recently got bitten by a monkey in Bali and have been in to see you a couple of time for all of the relevant shots. I have heard this morning about some confirmed casses of the Zika virus and thought i would ask for some advice on what i should do.